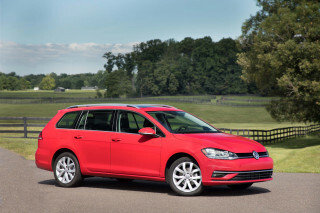 Get more of TCC's Sedans and Coupes reviews! If you’re including the Kia Spectra on your shopping list, it’s probably not out of driving lust or to polish your image, but because of necessity, because you have a limited budget, it’s cheap, and a good value, too. But if you’re expecting to live with something cramped, loud, and flimsy feeling — like the stripped-down “price leaders” of the past — in return for a low monthly payment and a new-car warranty, you’re in for a big surprise. The new Spectra might have a bargain price, but it’s no Chevette Scooter or Pinto Pony. In almost all aspects, the new Spectra feels much more grown up than the inexpensive small car it is. Where the last-generation Spectra was merely a cheap ride and an impressive value, it’s now a fine enough product where, after a test drive, it will pull in new cross shoppers who might have otherwise crossed the outgoing Spectra off their list. The new Spectra makes a great leap ahead in refinement and overall packaging, thanks mostly to parts-sharing with the Hyundai Elantra. 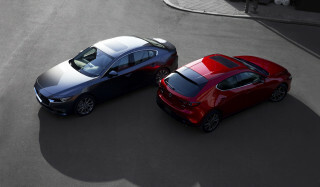 The new Spectra shares its platform, powertrain, and some other smaller pieces with the current Elantra, but the two cars are different enough not to be “badge-engineered.” The Spectra will be produced in a different facility in South Korea and the two cars have different chassis tuning, styling, and equipment. Describing the current relationship between Kia and Hyundai is tricky. Behind the curtains (in Korea, that is), the two automakers are now essentially the same company, and they’re planning to share platforms and some resources, but not production facilities. The line is fuzzy. For instance, Hyundai and Kia now share a design house in North America, along with Research and Development facilities, and the two will share a proving ground set to be constructed beginning later this year. But in the U.S., for sales purposes, Hyundai and Kia are completely separate brands, keeping separate dealers, marketing, and everything else. U.S. Kia officials don’t like talking about Hyundai “cousins.” You really aren’t supposed to know how similar the Spectra and Elantra are. But, all said, inheriting the Elantra’s underpinnings is a good thing. Since its introduction several years ago, the Elantra has been lauded for its great leap ahead in refinement and assembly quality, one-upping some of the domestic small-car competition and approaching the build standards — if not the driving characteristics — of stalwart Japanese-brand competitors like the Honda Civic and Toyota Corolla. Kia is opting to give the Spectra more of an edgy, sporty character this time around and aiming it at a hard-to-reach young male audience, 25 to 34 years old, with an annual income of $40k to $50k —a somewhat wealthier crowd than typical for “youth” cars like the Scion xA/xB and Saturn ION. The new Kia is no doubt frugal, but with hopes to score high with the practical crowd it doesn’t skimp on either passive safety or interior space. The big news is that six airbags are standard on all Spectra models, in a segment where side airbags — if they’re available at all — are typically an expensive option. This includes front airbags for the driver and passenger, plus side seat-mounted bags for front passengers and side curtain airbags for front and rear passengers. A “smart” system gauges the severity of a crash, detects occupants, and deploys the airbags accordingly. Although the new Spectra hasn’t been crash-tested yet, Kia hopes that it will score a rare five stars overall, including side protection, which is typically a weak point in small cars. The lack of anti-lock brakes continues to be a sore point for most small cars in this price range. Four-wheel disc brakes are standard, but anti-lock is not. 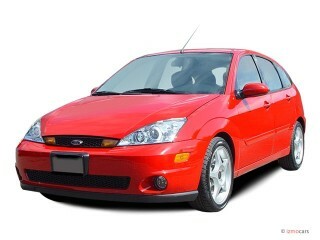 It’s a $400 option including electronic brakeforce distribution, but only available on the higher-trim EX model. We’ll applaud Kia if they decide to make ABS-equipped cars easy to find, or at least order. 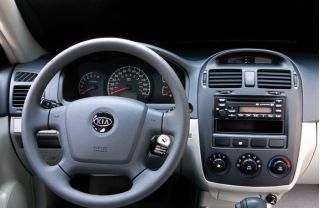 Kia also boasts that the Spectra’s interior, at 97 cubic feet, is the largest in its segment. The numbers don’t always equate to useful space, but it is truly a roomy interior for a small car. Although not ideally comfortable, at taller than 6’-6” I could sit in the back seat without mashing my knees into the seat ahead or bowing my head forward. In front, I fit comfortably into the height-adjustable driver’s seat. The lower cushion wasn’t as long as it needed to be for long-distance comfort, but it sufficed. The back seat is rather typical for a small car in comfort, though legroom and headroom don’t limit you to mash your knees into the front seatback or hunch forward. If you’ve shopped around and seen some of the attractive new interiors, even in small cars, you’ll agree that the Spectra’s interior still seems like a tightly budgeted afterthought. Plastics and materials seem fine, but it’s very basic and unexciting. 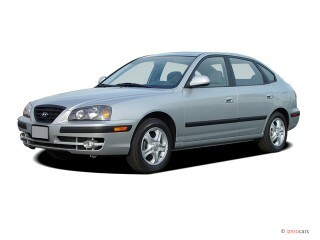 A new engine, from the Elantra, is also part of the package. It’s a 2.0-liter in-line four with continuously variable valve timing (CVVT), making 138 hp and 136 lb-ft of torque. In this price class you can’t expect luxury-car refinement, but the engine is quiet and civilized in around-town driving — as long as you accelerate gently — and the cabin is free of engine vibrations, but it gets somewhat loud and coarse-sounding when you stomp down harder on the gas or if revs go much past 3500 rpm. There’s enough power down low for good drivability, but it still makes noticeably more usable power when you keep the revs into noisier rev range. At the Spectra’s press preview, several colleagues complained about a severe lack of power on our route of steep canyon-winding two-laners and high-speed expressways, but we suspect they were either used to driving level plains roads or they forgot the small car mantra: Keep the revs up! With the five-speed manual, as long as we kept the revs up when we needed power, there was enough oomph for safe passing on two-laners. A quick shift from fifth down to third and a heavy right foot brought us from 60 to 90 mph with surprising haste. Gears are nicely spaced, shifts are easy and positive, and clutch take-up is smooth. Not a rocket sled, but swift enough to move with traffic. Only once, in an unusual situation, did we really feel the need for more power — when accelerating from a standing start on an upgrade to merge with 60-mph traffic. We recommend the stick over the automatic. As is typical for a smallish four-cylinder engine, the optional four-speed automatic steals some of the power away, particularly off the line, where you can really feel the Spectra’s weight. We wished for smoother upshifts at moderate throttle and less hunting between third and fourth at highway speeds, but its ratios are well chosen. Accelerating is just a little more labored than other small cars with similar power figures because, like most of the Kia lineup, the Spectra needs to be put on a Weight Watchers program. At about 2800 pounds, it’s heavy (even a couple hundred more pounds than its relative the Hyundai Elantra), and 135 lb-ft of torque just isn’t enough to move the car forward with much authority. The last-generation Spectra lacked the refinement of its modern competition, and it also lacked the right balance of comfortable ride and responsive handling that most of the newer small-car models do so well. The ride tended toward bouncy, pitchy motions. The car’s U.S. development team worked with Korean engineers to make sure that they got it right for this market, initially setting the Mazda Protégé as the target, but eventually settling on spring and damper settings comparable to the Ford Focus SE. (FYI, the settings rank somewhere between those of the Hyundai Elantra and sport-tuned Elantra GT.) With the new Spectra, stabilizer bars are used both front and back (unlike most of the competition which only uses them in front), and 15-inch wheels and tires are standard on all models. The ride is still on the soft side but it’s well controlled overall. We can’t complement the Spectra’s steering quite as much. It feels good in everyday driving, with a decent on-center feel that’s not too artificial. However, get a little more aggressive and you’ll find in these conditions the steering is way too light and overboosted, effectively damping out any feel of the road like an old luxury barge. The power steering is variable with engine revs, and calibrated in an odd way, at least for the type of driving Kia’s demo route demanded. For instance, while going around a very tight hairpin corner near Malibu Canyon and doing a downshift from third to second, we noticed a sudden change (twitch) in steering resistance. We asked an engineer who was present, and he confessed that it’s a shortcoming of the engine-speed variable system, which is calibrated more for parking lots than hairpins. The Spectra claims to be the lowest-priced car in its segment with standard four-wheel disc brakes. They’re fade-free and adequate, but they lack the firm, confident pedal feel of some of the competition. What this amounts to is that most will find the Spectra an entertaining everyday drive, but more enthusiastic drivers will still be better off plunking down a little extra dough for a Mazda3, or perhaps a MINI. For ordinary driving, the Spectra drives better and seems roomier than the similarly priced Suzuki Forenza (formerly Daewoo Nubira). Later this summer, “an aggressively styled five-door hatchback” version of the Spectra will be available, called Spectra5 (that’s right, they stole the nomenclature from the freshly killed Mazda Protégé5). 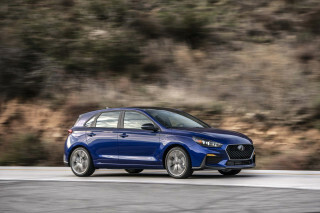 In shape, it’s actually one step closer to a wagon than the outgoing Spectra hatchback, sort of a halfway design between the Toyota Matrix and Mazda Protégé5. The Spectra5 adds a sport-tuned suspension, 16-inch wheels and tires, a strut tower brace, and fog lamps, plus cosmetic add-ons like a rear spoiler, metal pedals, metal-finish trim, and a leather-trimmed steering wheel and shift knob. We had a good chance to see the Spectra5 but not drive it. We were told that a sport suspension option will soon bring most of the Spectra5 goodies to the sedan for an extra grand or so. Kia plans to offer the Spectra5 only in upscale EX form and thinks that only 30 percent of Spectras will be the hatchback model. 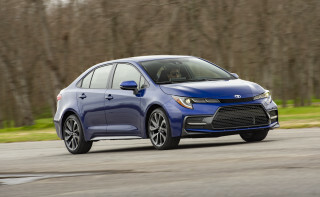 But we think by not having a base-model hatchback Kia is missing out on a sizable chunk of the market, including those who include the Scion xA/xB models on their list. Which brings us to price. Just two years ago, the Spectra started below $11,000, but now it starts at $12,260. Still very cheap, admittedly. 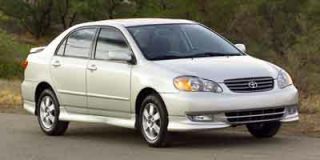 But we drove an LX manual and an EX automatic, and the bottom line on the EX well exceeded $16,000, and in that range and just above there are a lot of alternatives. Our advice: stay with the base LX, lay off the options, and have a great, trouble-free appliance that’s also a decent drive. Pricing hasn’t yet been announced for the Spectra5, but we were told that it would slot above EX sedans, which probably means just below $15k. 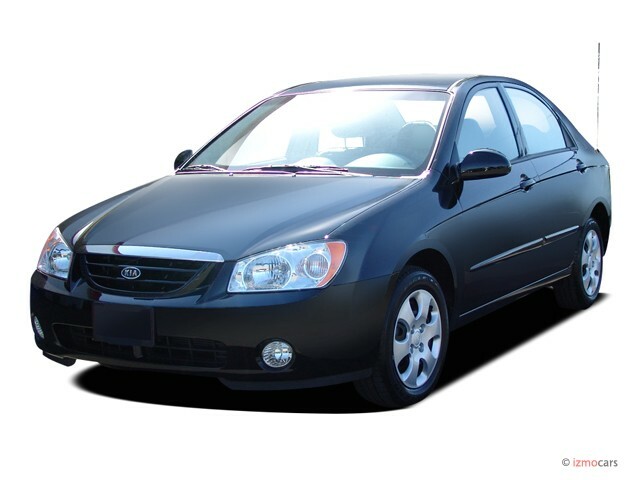 If you go to the dealership to look at the new model, get ready to be confused: The outgoing Kia Spectra is currently still on sale as an ’04 model, but thousands of new-model (termed ‘LD’) sedans will also officially be 2004, rather than a 2005 or 2004.5, Spectras. From what we gathered at the preview, this is so the overall number of cars sold for 2004 won’t upset the company’s corporate average fuel economy (CAFE). 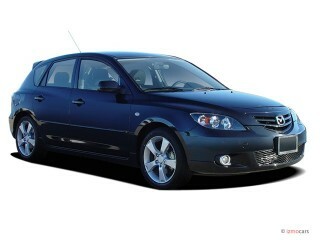 A cursory check of dealers revealed that they’re unofficially calling the new car a 2004.5 model to avoid the confusion. 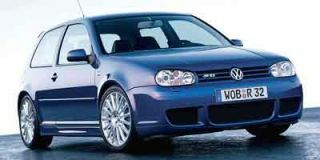 The five-door will be available in late summer as a 2005 model from the start. Like all Kias, the Spectra carries a 10-year or 100,000-mile powertrain warranty and five years of roadside assistance. Unlike warranties offered by Suzuki and Hyundai, it can’t be transferred to second owners or family members, but it’s one of the best warranties in the market, and it shows that Kia is serious about building trouble-free cars. A new Rio is on the way within a year or two, and a new Sportage is out later this year, bringing a full lineup of vehicles that stand up well against the (mostly more expensive) competition. But the brand still needs to put a lot of effort into getting the word out. Company officials agree the Kia name is still not widely recognized; that will soon change. With its great warranty, standard side airbags, and much-improved package, there’s no doubt the Spectra will continue to appeal to car-as-an-appliance folks who are on a limited budget. But it will no longer be pigeonholed as a last-resort special for those who are glad just to have a set of wheels with a warranty. Now that’s a real bargain.